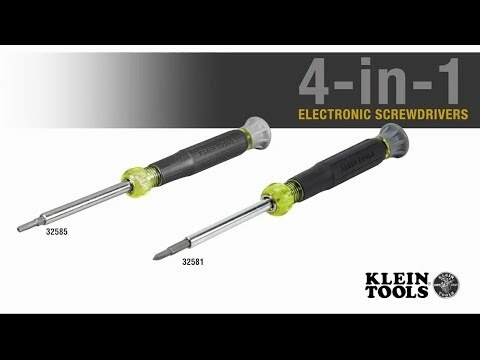 Featuring four TORX® tamperproof bits in one tool, Klein's 4-in-1 Electronics Screwdriver is designed for precision work. The swivel cap provides optimum control. Made of the highest quality tempered steel, carefully heat-treated for maximum strength, and precision milled to fit screw openings securely. Cushion-Grip handles offer outstanding comfort and control. Corrosion-resistant chrome plated barrel that holds two double-ended bits.